Words by Dean Campbell, Photos by Andrew Snucins and Trevor Wert. Leading the start order, Brandon Semenuk and John Hall have only run two events together this season, finishing second at the Rocky Mountain Rally, and failing to finish the Pacific Forest Rally in October. 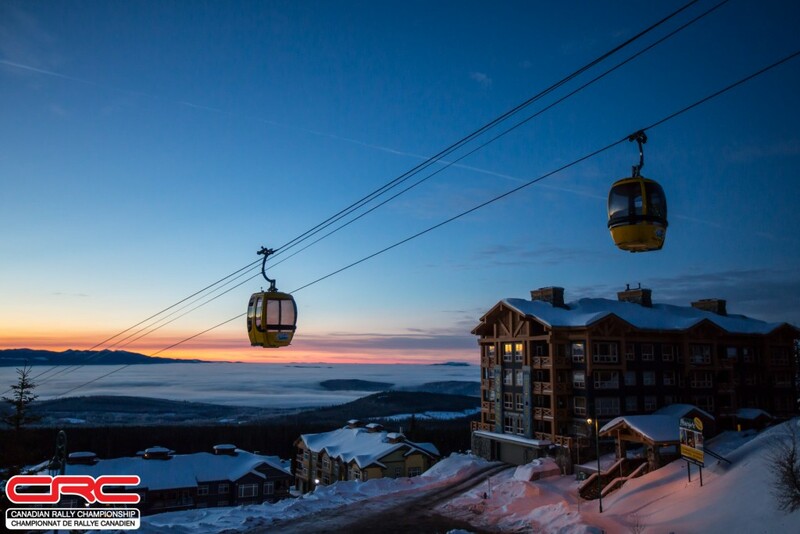 The two will be looking to finish the season on a high note, and better their past performances at Big White – second last year and fourth in 2016. 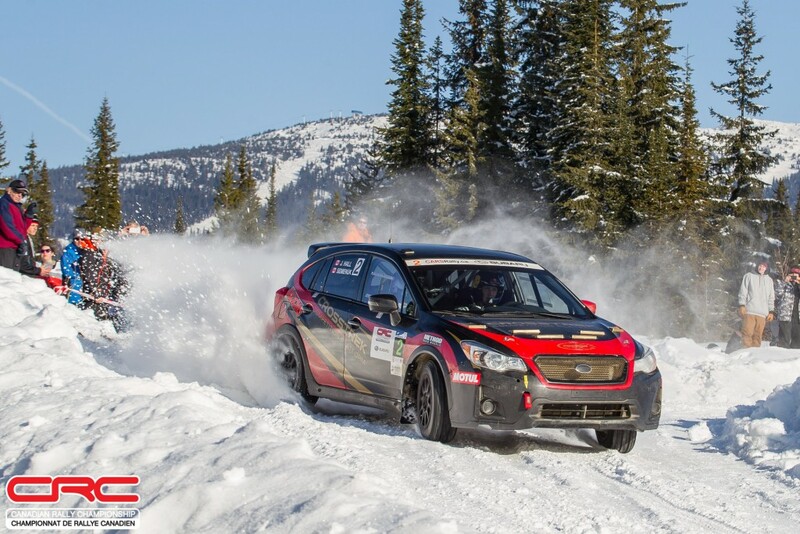 Fresh from a podium finish at the Lincoln Electric Rally of the Tall Pines, Boris Djordjevic will be racing at Big White with Darren Garrod of Wales. The two have every capacity to beat Semenuk and Hall, but only if mechanical problems that have hampered this season’s results remain a thing of the past. Dave Nickel and Alex Gelsomino are in their repaired Subaru Crosstrek. The car sustained heavy damage at the Pacific Forest Rally after crashing down a wooded hillside. Nickel is one for two at Big White, scoring a DNF in 2016, and an eighth-place result with Gelsomino in 2017. There’s a huge opportunity to finish near or on the podium, but the team will have to balance speed and grip to make it to the finish, something that has challenged the duo in the past. Hailing from just across the border, Sam Albert and Michelle Miller have reunited for this year’s rally. The two work together at Dirtfish Rally School just outside of Seattle, and finished ninth together in 2016. Miller drove in 2WD last season, leading an all-women’s team to the finish in a deep class field. Like Nickel, the pair are well positioned for a strong result this year, a podium within reach. The Production Class will once again likely be a tightly contested battle between three teams. Nicholas Spencer and David Ma have secured the class title. 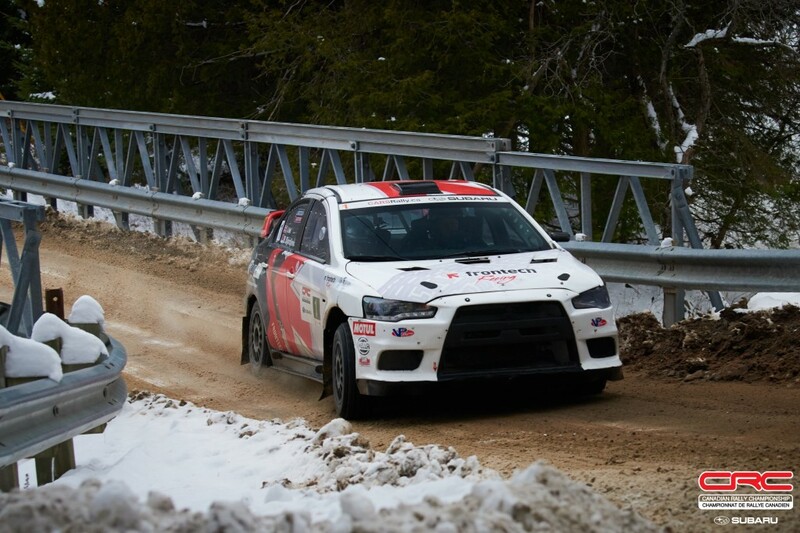 At the Pacific Forest Rally the team faced a difficult battle against two other teams. Eric Pehota and Jennifer Daly ultimately emerged class victors at PFR, finishing on the overall podium, while Spencer and Ma claimed second in class. Meanwhile, Brandon Liang and Michael Szewczyk rounded out the class for third. Until late in the rally, all three teams were trading times, and all three are poised to start at Big White, opening the possibility for a tight battle once again. 2WD champions Wim van der Poel and Bryan Lord aim to cap a perfect season by winning their class. In every event this year, the team have finished atop the 2WD podium. However, this will be no easy victory lap. The team will have tough competition in the form of Eric Grochowski and Martin Headland, driving a 1987 Toyota Corolla GTS belonging to Canadian rally legend Taisto Heinonen, who was inducted into the Canadian Motorsport Hall of fame in 2003. Nick Wood will be co-driven by Chawna Imber in a 1971 Datsun 1200. Wood has had difficult luck in past events, and it will take all of his skill to keep the RWD car pointing the right way on the slippery ice and snow on the stages. 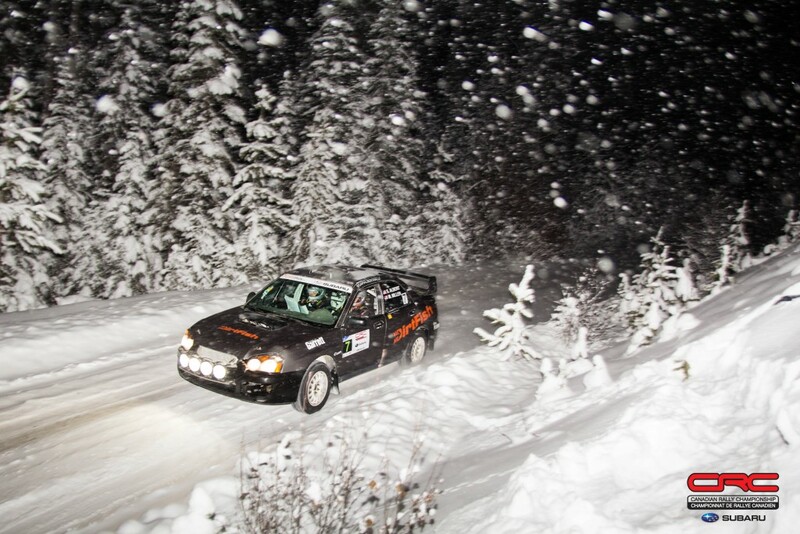 Big White Winter Rally is a compact event with headquarters at the ski resort. A nearby service park sits just outside the village at one of the day lodges while the stages connect to the main resort road connecting Big White with the city of Kelowna, BC, down in the valley below. 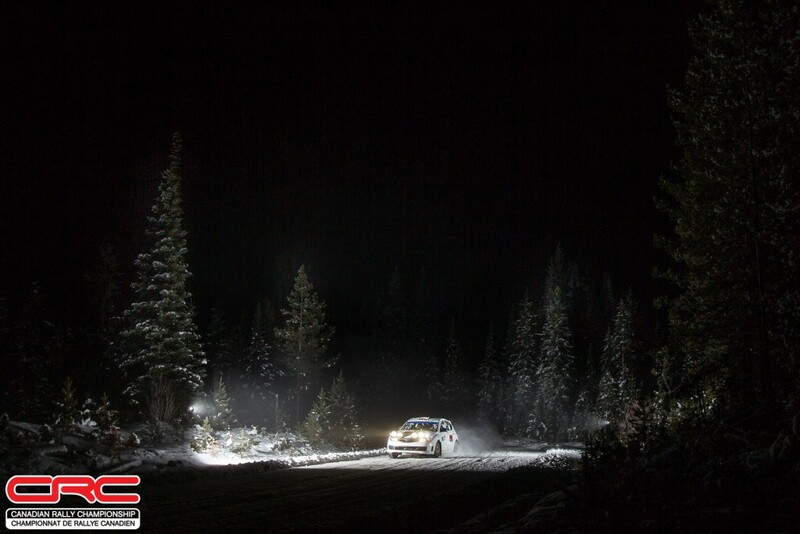 A total route of 273km includes 195km of special stages split between Saturday and Sunday. This distance will be split over just eight specials, with an average stage distance just under 25km. Combined with an early sunset, teams will need to stay sharp in this test of endurance and speed. Be sure to follow the live updates on the official CRC Facebook and Instagram accounts, and use #crcrally to share your photos and videos from the event.